want just a little taste of Heaven to Betsy Wool? This is for a half pound ( approx. 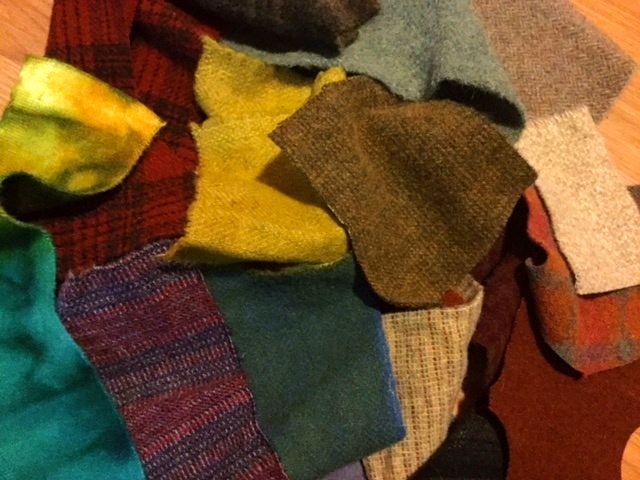 )of wool scraps ( most likely you will receive more ) ** BUT we love the guys and Gals at weights and measures so we will put "approx." a half pound of washed wool. Some may be dyed but all will be ready to use in your next applique piece. ***NOTE: these are not the long remnants that rug hookers need, Please see "LARGE SCRAPPY BAG selection" for those pieces. It should be noted that we are handcafters- We do not put anything in these bags that we would not only use but be delighted with receiving ourselves !